Date: Sep 17 2018, 8:30 a.m. - 9:45 a.m.
Run the hills, trails and stairs of Fort Rucker! Conquer an obstacle course, enjoy games on the football field and practice yoga at Lake Tholocco. Increase your fitness, boost you energy levels and have fun! Fall Boot Camp will run for 6 weeks starting Monday, September 10, and run through Friday, October 19. It will be held every Monday, Wednesday, and Friday from 8:30 – 9:45 a.m. at Fortenberry-Colton Physical Fitness Center. Orientation being the first day of boot camp and the cost is $100.00 (due in full by 9/10/2018). Price includes a 2018 Fall Boot Camp T-shirt, training with certified personal trainers and group exercise leaders, access to all group fitness classes during the 6 weeks, and weekly tips and nutrition information. 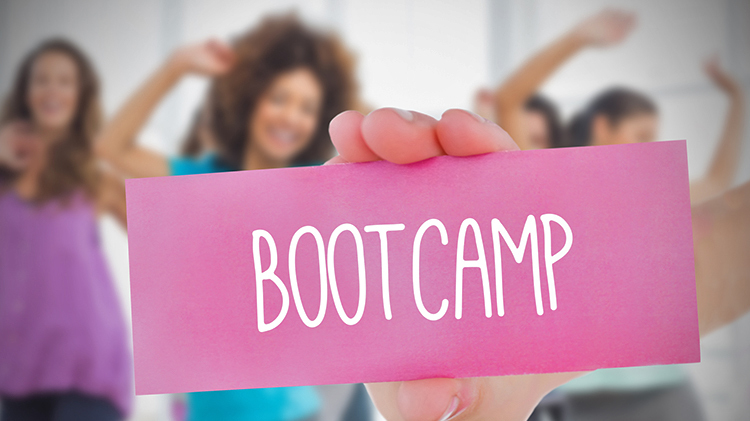 Boot Camp ensures maximum benefits and results for all fitness levels. Expect to see improvements in cardio fitness, stamina, strength and body composition. *Each packet will be reviewed for high risk part participants and you will be contacted if a doctor's release is needed before orientation. * For more information please email nicole.r.crowley4.naf@mail.mil. Cost is $100.00 (due in full by 9/10/2018). Price includes a 2018 Fall Boot Camp T-shirt, training with certified personal trainers and group exercise leaders, access to all group fitness classes during the 8 weeks, and weekly tips and nutrition information.